I was with a group of guys some months ago. I stumbled on their discussion they were discussing about women in the aspect of marriage and one of them made a point that got me thinking, he said “a woman has got nothing to think about asides getting married and having children.” I tried convincing them but I couldn’t. I got to understand that a lot of people have this same idea about women and so when they get to meet women who love their jobs or women who are passionate about their dreams they see them as proud and they call them all sort of names. There is more to the woman than getting married and giving birth to children right inside of her are ideas that can change the world just because she is a woman has not made her less or made her a dummy. I believe she is smart if she is given the opportunity she could do great things. There are some women who are smart enough and have dedicated their lives to making others happy and helping nations but what makes them different is the fact that they don’t just make others happy they also keep their family happy; they are women their husbands and children are so proud of. Some people call them the career woman but I call her “THE CONFIDENT WOMAN”. 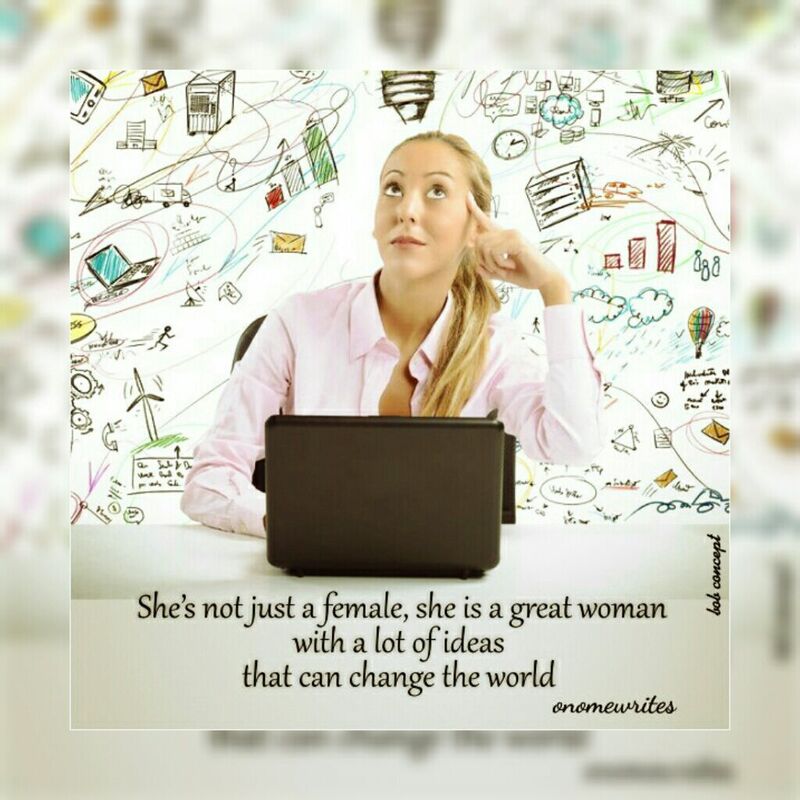 She’s confident enough to make a great impact on her generation she is a woman her generation cannot forget. They are women who make their man a better person and also who make sure their man fulfills his purpose and vision. To the beautiful women reading this I want you to know that there is more to you than being just an ordinary woman, you were created to make a difference and to the men reading stop seeing the woman as an ordinary person there is more to her. Pastor (Mrs.) Nike Adeyemi is the wife of the senior pastor Daystar Christian Centre in person of Pastor Sam Adeyemi and also the co-founder of the church. She was born April 11th 1967; she graduated from the University of Ife (now Obafemi Awolowo University Ile-ife) with a B.sc and M.sc in Architecture in 1989 and 1991 respectively. The architect turned Pastor is the director Women Ministries of Daystar Christian Centre and the president Real women Foundation, a motivational and healing ministry. One very interesting thing about this woman is that she is a very important figure in the actualization of her husband’s ministry and as a matter of fact her husband has publicly acknowledged how she molded him in a lot of ways starting from his dressing and other things. Pastor Nike runs an orphanage home she also reaches out to abandoned and the less privilege across the country. She is a confident woman who inspires me daily. She is another great woman I admire and love so much. She is a Nigerian make-up artist and lawyer. A pioneer in the bridal make-up profession in Nigeria, she launched the first bridal directory in 1999, set up international standard makeup studios and established the first make-up school in Nigeria. She is the founder and the CEO of house of Tara international and creator of the Tara Orekelewa Beauty range, inspired Perfume and the H.I.P. beauty range. In 2007 she was awarded the African SMME award and the entrepreneur award in South Africa and in 2013, Forbes listed her as one of the 20 young powerful women in Africa. Another remarkable thing about this confident woman is that she made her husband a better person, supported his vision even when it was so gloomy and dark she knew he was going places and gave him all the support he needed. Today, Fela and Tara Durotoye worth millions and they just celebrated their 15th wedding anniversary in Venice, Italy this year. If you are a fan of top radio 90.9 then you’ll definitely know this wonderful lady she conducts the morning show “Top of the morning” specially a segment of it called Areaaaa show. Tosyn has she is popularly called was born in a taxi while her mum was visiting her friend about 28 years ago. She graduated from the University of Lagos where she studied law; she wanted to be an actress, singer and writer before she stumbled into her career in radio. She has written scripts for shows like Amstel Malta Box-office, as a singer she has worked with artistes such as Skales, Eva etc. Another amazing thing about her is that she was born with the sickle cell disease and that never stopped her in fact it gave her the strength to pursue her dreams. In December 2007, Tosyn founded THESE GENE, the sickle cell project in a bid to ensure that people heard inspiring stories about sickle cell and to show that sickle cell is part of life. She almost lost her career on the radio as it was complained that she giggles on air but despite all the challenges this great woman never gave up and today she is a force to be reckoned with in the world of entertainment. She got married to her husband in November 2015. Tosyn is really a confident woman and an inspiration to a lot of young people in Nigeria. These confident women and many more have been a source of inspiration to the female gender, these women rose up to the top despite all the challenges and hurdles along their path. It doesn’t matter where you are right now as long as you don’t give up you can definitely be who you want to be. You were created for more don’t ever allow anyone to limit you. Right inside of you are ideas that can change the world. 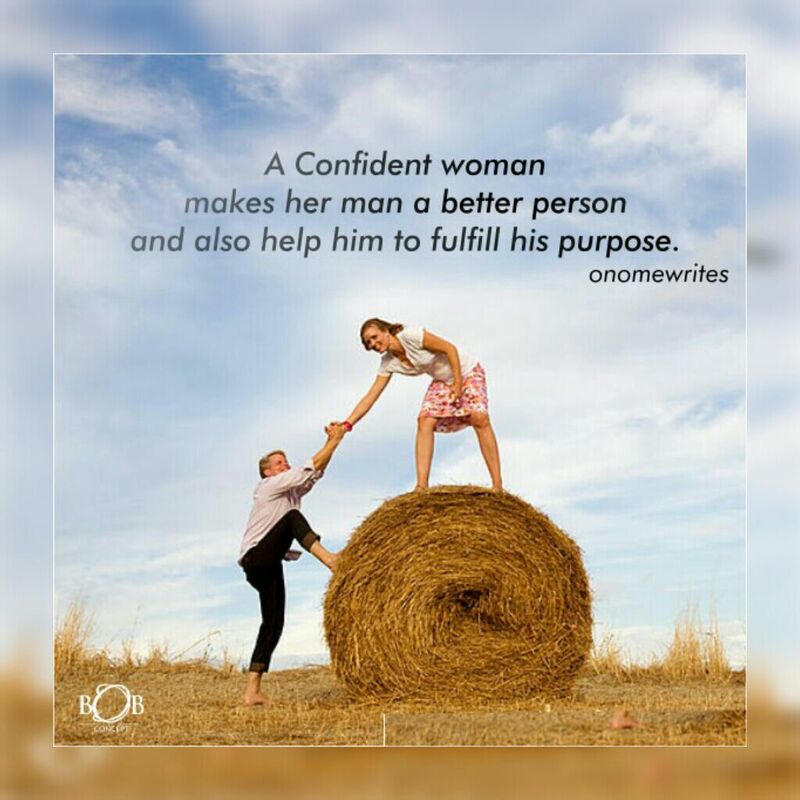 To my confident women keep rocking your world, keep supporting your men and help them fulfill their purpose. You are beautiful in and out.